The Library of Congress’ Today in History page reports that on this day in 1918, the “American Expeditionary Forces…launched its first major offensive in Europe as an independent army” led by General John J. Pershing. My family has a connection to “Black Jack” Pershing in two different ways. 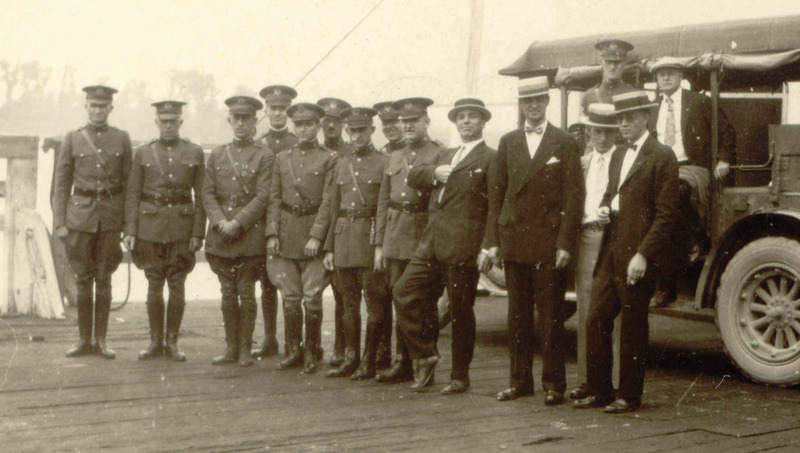 As seen in the photo above, my grandfather met the General in the days of WWI when Pershing inspected my grandfather’s squadron. In a letter to my grandmother back home in Indiana, my grandfather mentions the inspection and meeting. Pershing is the first man in uniform from the right (not standing on the car) and my grandfather, Glen R. Johnson, is the third from the left. The second connection is through my husband. Pershing State Park in Linn county, Missouri lies across US 36 – 16 miles from my husband’s father’s farm. Each time we drive that road, we see the signs about Pershing and the Park. Found in my grandfather’s postcard collection. Scene of “La Porte Rivotte” in Besancon, France. This past week I shared this photo of the Caquot Observation Balloon that is on exhibit in the United States Air Force Museum in Dayton, Ohio. I’ve taken many pictures of this balloon over the years. Rarely do I visit this exhibit and not just stand gazing at it for a long time. Why? It’s a connection to my grandfather, Col. Glen R. Johnson. 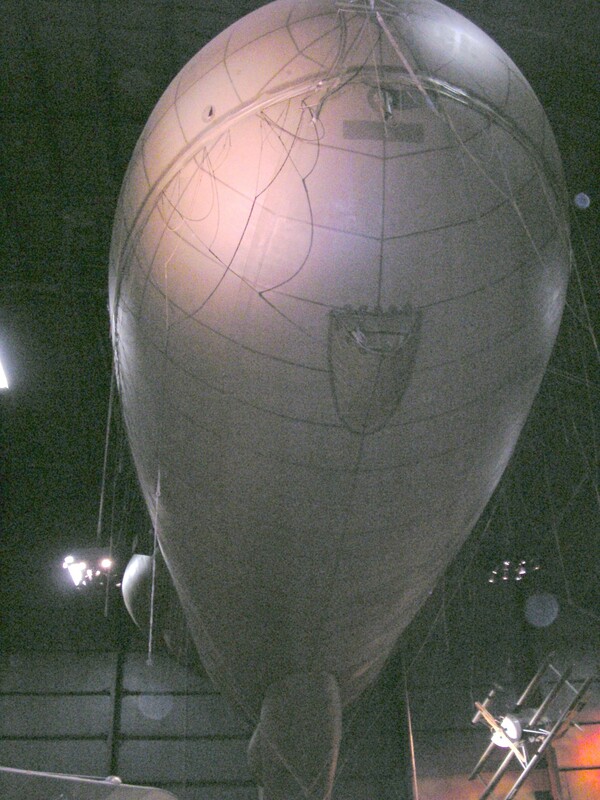 The official website of the Air Force Museum says of the balloon on display: Manufactured in 1944, the balloon displayed at the museum is believed to be the only survivor. The British used it for parachute testing and noncombat aerial observation and photography until 1960. The British Ministry of Defense, Royal Aircraft Establishment, presented the Caquot to the museum after it was located with the aid of American and British WWI balloon veterans in 1975. 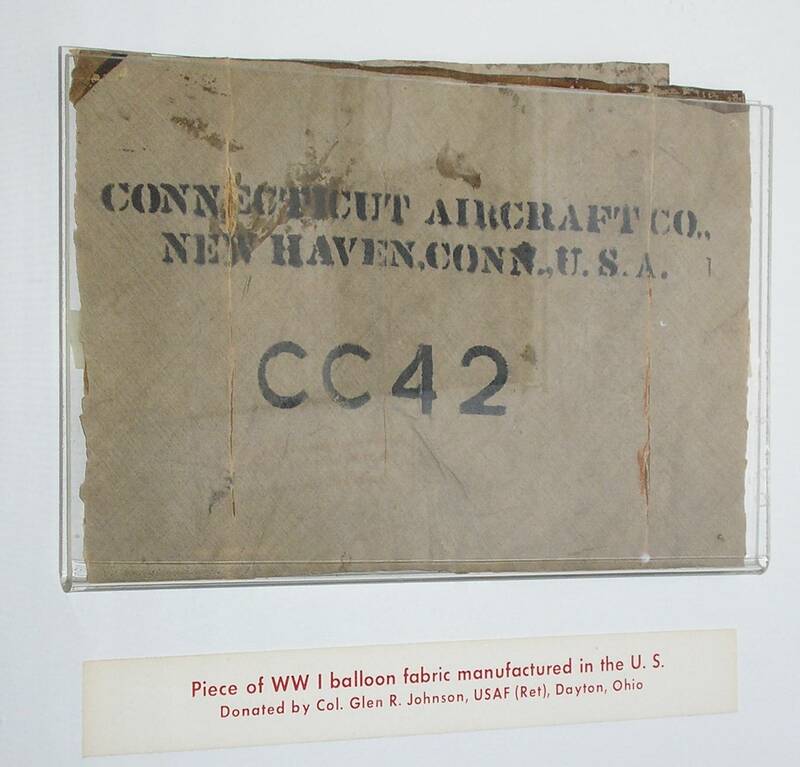 Assisted by the Goodyear Aerospace Corp. of Akron, Ohio, which had produced these balloons during WWI, museum personnel mended and sealed the balloon fabric and prepared it for inflation. It was placed on display in May 1979. 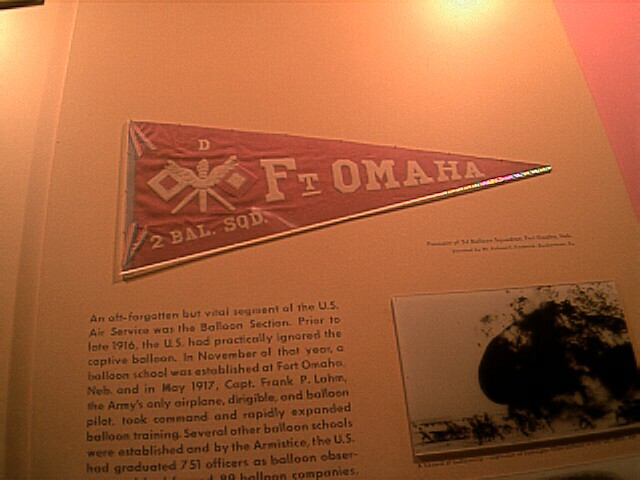 Piece of WW I balloon fabric manufactured in the U.S. 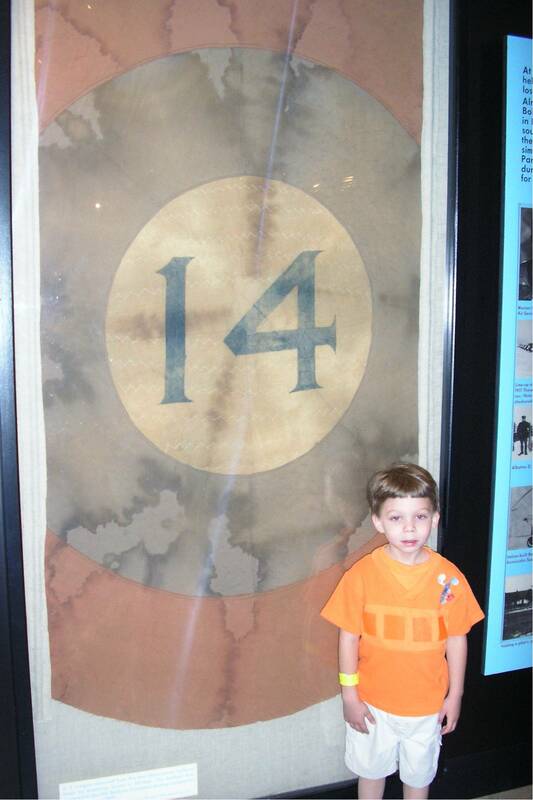 So the next time (or the first time) you visit the Air Force museum, take a look at the Balloon that dwarfs one of the areas and take the time to check out the displays that talk about the Balloon years. I guarantee that you will learn something that you probably didn’t know before your visit.